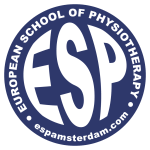 Our mission is to educate world-class physiotherapists and we do so by offering an intense programme, in an international classroom, with emphasis on personal contact. The ESP serves as an “extended family” that includes (prospective) students, alumni, faculty and staff. Through this playlist of official video, you get all in the info presented to you in an easy and understandable fashion. From the selection procedure, until internship and post-ESP career, these video will tell it all! !